After a quick song break, Levine talked about Maroon 5's original band name, Kara's Flowers, which Corden said "doesn't even sound like a band name, it sounds like a podcast sponsor." 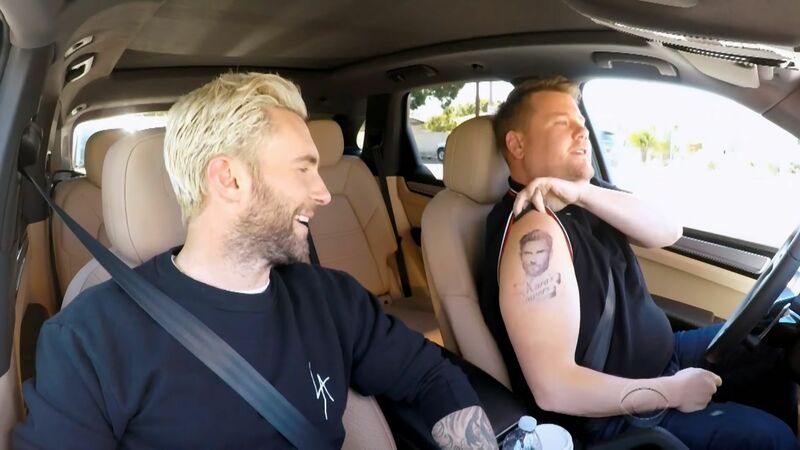 But clearly he didn't hate the name that much, since after talking about ink-covered singer's many tattoos, Corden showed off some ink of his own. Yes, that is Adam Levine's face above a scroll saying "Kara's Flowers," so I guess that name makes for a good podcast sponsor and a good tattoo. 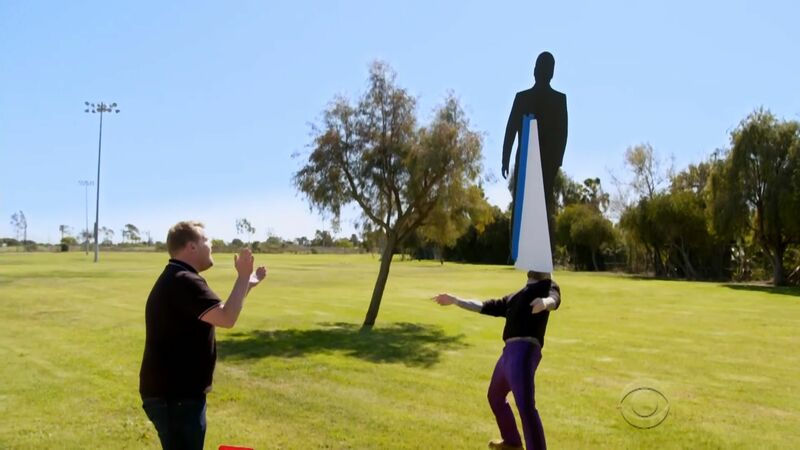 After belting out another Maroon 5 classic, we then got to see one of Levine's secret talents: his incredible balancing skills. 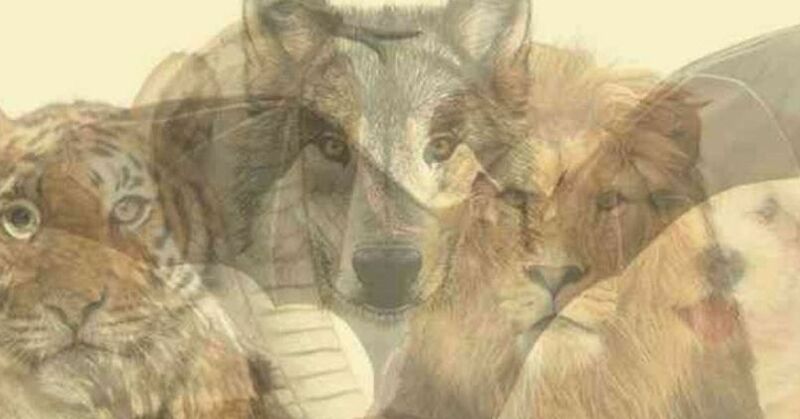 With all sorts of different objects. 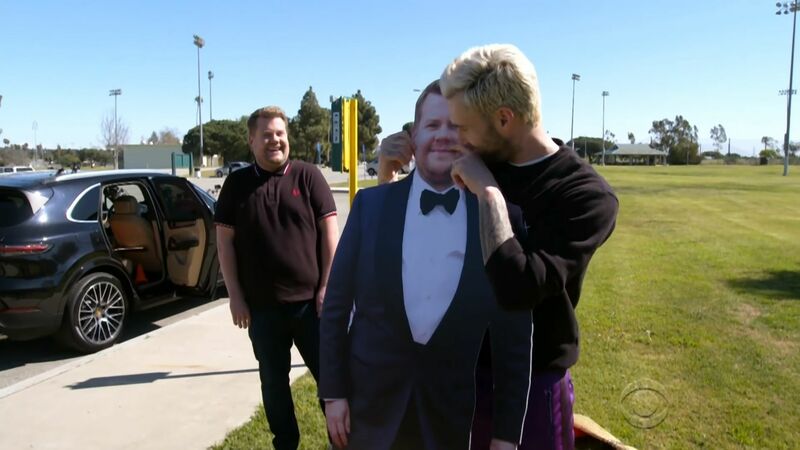 Levine even got cuddly with a life-sized James Corden cut-out. Then he pulled off his most amazing balancing act yet. But after leaving the park as they're driving around, the pair hear a siren go off, and a sheriff's car pulls up beside them. 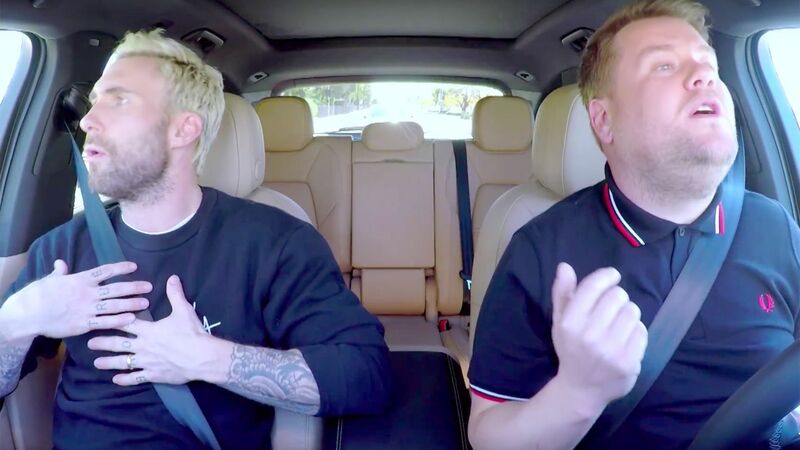 Immediately, Corden starts getting stressed out, while the cop asks them to pull over. 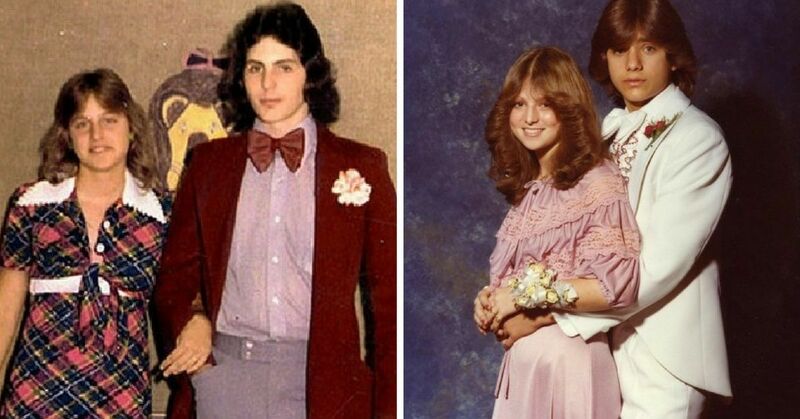 The deputy then sends them on their way with a reminder to "be careful," while Levine promises "we'll never do it again." After the scare, talk turns to parenthood, and what it's like raising kids in Los Angeles, with Corden revealing he's scared his kids will start talking like the "valley girl" stereotype. 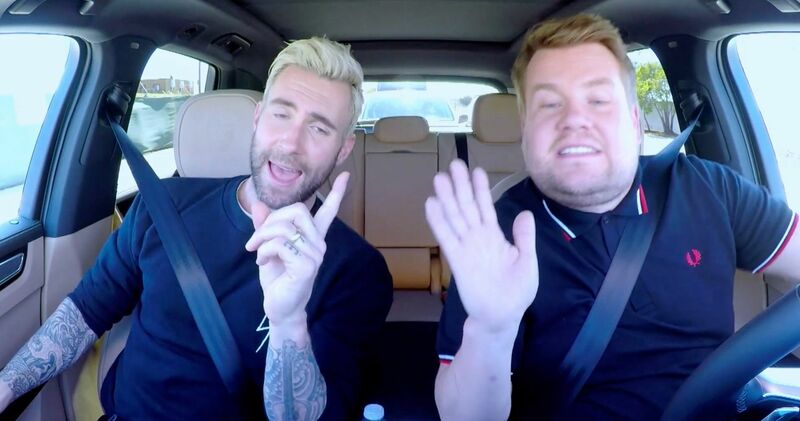 This segment is honestly worth watching for Levine and Corden's valley girl impressions, if nothing else. 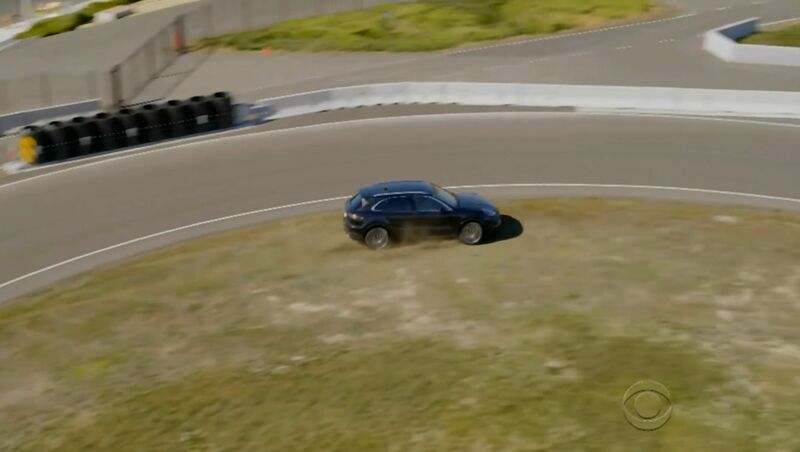 After another quick song break, the duo heads to a race track where they see who can drive the fastest. 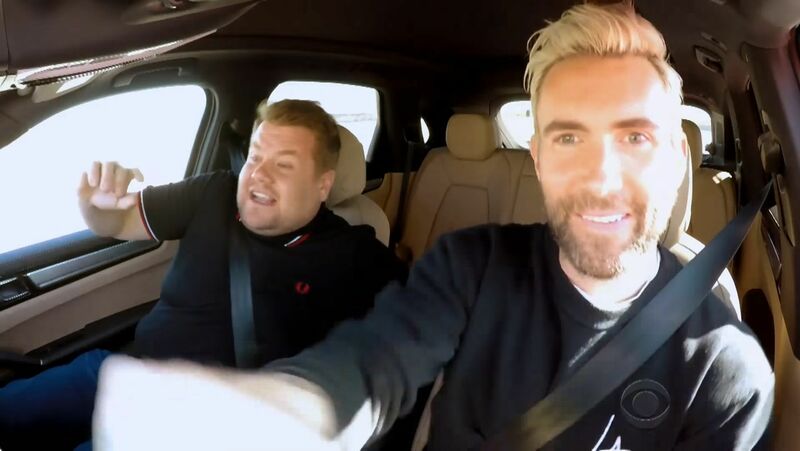 Unfortunately, Corden isn't as good a driver as he is a talk show host, and his lap leaves Levine wondering "where that cop from earlier" went. 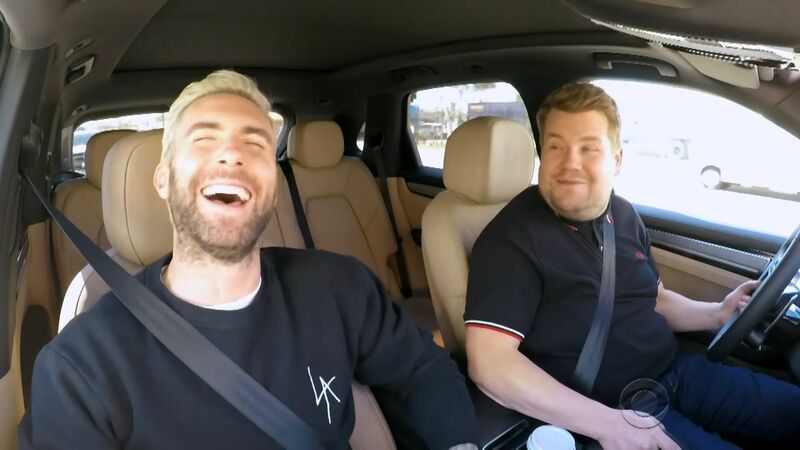 Corden might be new to it, but Levine loves driving race cars, so of course he's a natural. 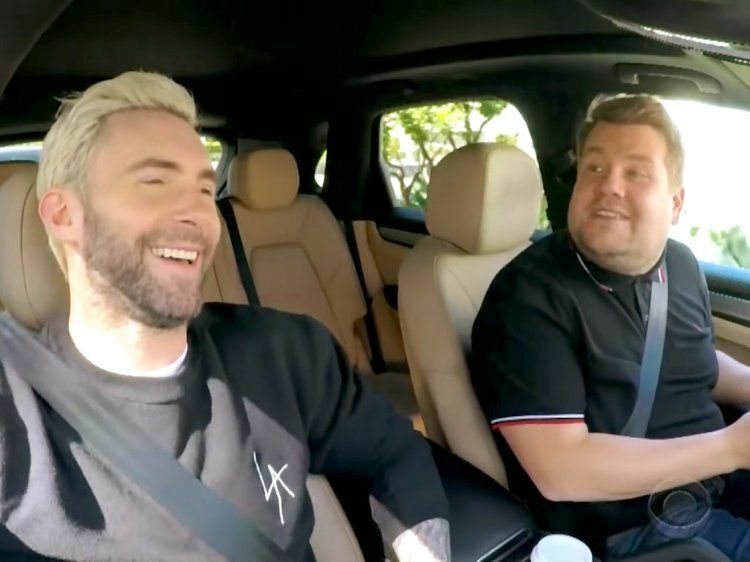 To make it harder for him, Corden asks the singer general knowledge questions while he's driving to throw him off his game. 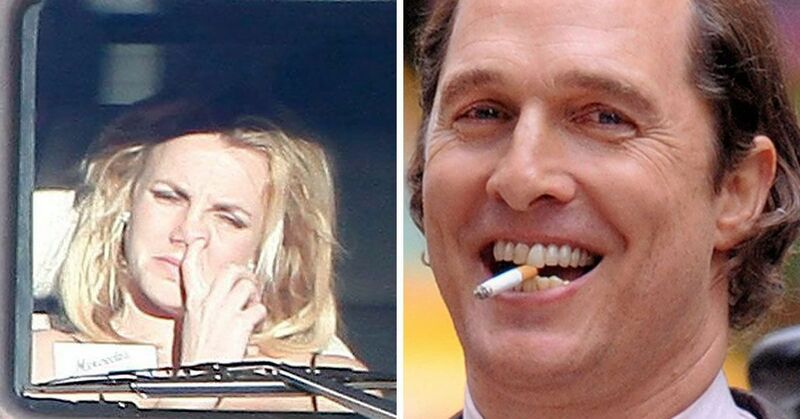 He quickly starts to regret that idea. I won't spoil who won the race for you (that's a twist you have to see for yourself) but the two still hug it out at the end, so clearly there aren't any hard feelings. It's definitely one of the better segments of the series, so make sure you check it out, if only to listen to Adam Levine sing flawlessly!